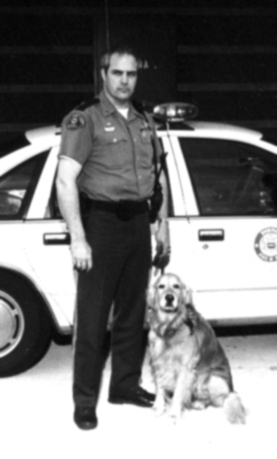 Buck was the departments first K-9. 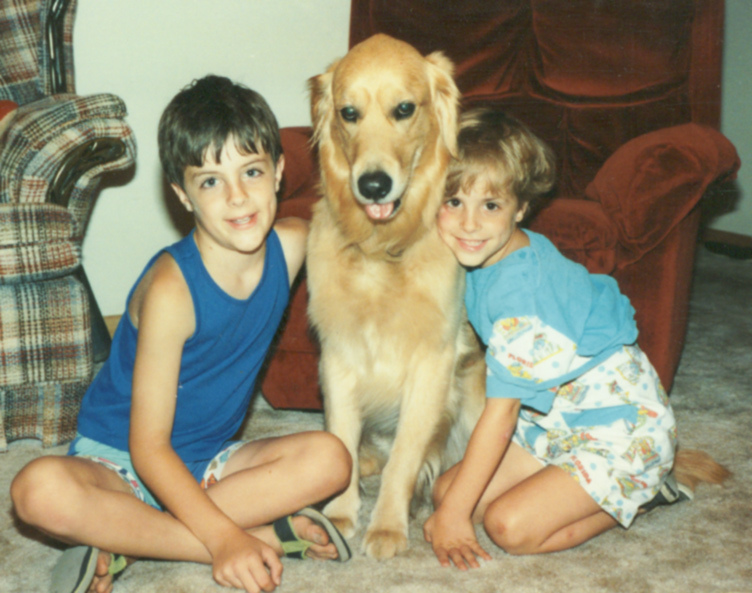 He was a Golden Retriever. The gentleman that trained Buck lived in Nebraska and trained canines for law enforcement and the military. The story that Captain Abben received, was that Buck was located on the front porch of a house in Alabama. Buck was tested and it was found that he had a very high "Hunt Drive." His trainer purchased Buck and took him back to Nebraska. Buck was then trained in Narcotic Detection and Tracking. Captain Abben was the 3rd handler that Buck had assigned to him. His first handler left the department and his second handler changed divisions. Buck was responsible for locating alot of illegal drugs and money in Black Hawk County. Captain Abben and Canine Buck did a demonstration before a panel of District Court Judges and never had a problem getting a search warrant when they needed one after that. Buck's reputation was such, that Captain Abben only testified twice (by his recollection) in court. The defendants always pled. Buck was well known with many school children as he and Captain Abben visited numerous schools and attended many civic organization meetings. 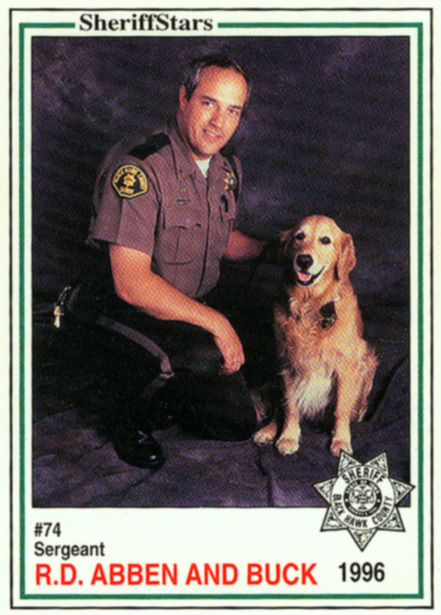 Captain Abben believes he handed out close to 5,000 of Buck's "Sheriff's Star" cards during thier time together as partners. When Buck needed a veterinarian, Captain Abben took him to Reilly & Kneeland who gave the County a reduced rate. The K-9 program is run solely with private donations. The Board of Supervisors at that time were so impressed with Buck's abilities that they budgeted money for him in the Sheriff's budget. That money was never touched. Captain Abben states that on a personal note, Buck was the best dog that he and his wife ever had. His children fell in love with Buck. Other than just a few times, Buck was with Captain Abben nearly 24 hours a day. Captain Abben and Buck were partners for 10 years. Buck was just about 14 years old when he had to be euthanized due to health reasons. After Buck died, Captain Abben never requested another dog. He knew he could never replace him. It was a great 10 years!